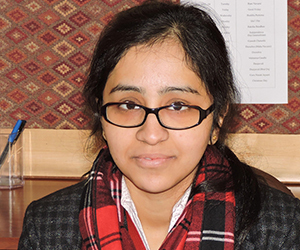 Prerna Gandhi is a Research Associate at the Vivekananda International Foundation with a focus on Japan, ASEAN and Korean Peninsula. She is currently a doctoral student at Dept. of East Asian Studies, Delhi University. She is also a recipient of the Mitsubishi Corporation International Scholarship and visited Japan in the “Japan-East Asia Network of Exchange for Students and Youths Program- JENESYS” in summer of 2011. Global Economy at Crossroads: Is Digitalization the Way Ahead? Will Chinese Economy ever surpass the US Economy?